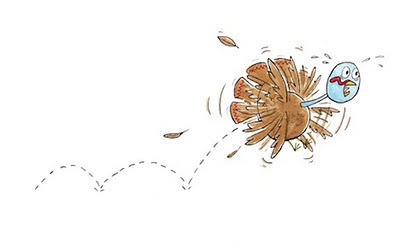 Ben Clanton's Squiggles and Scribbles: Happy Thanksgiving! There are a number of aspects to Thanksgiving that I don't much care for . . . football, all those poor dead turkeys, and the continuation of certain harmful myths. Even the family aspect can often go awry, but overall I think it is good to get together with those we love as well as those we are related to. YET there is one thing in particular I really do like about Thanksgiving. I think it is always a good thing to be thankful and I have so many things to be thankful for . 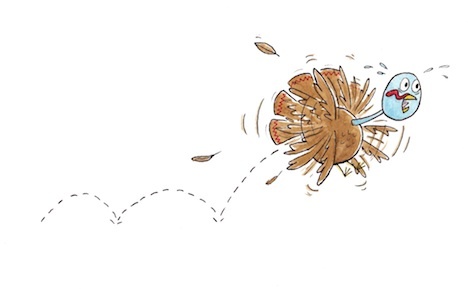 . . a wonderful family, a start to my career as an author/illustrator, not being a turkey, a good place to live, kind and inspirational people, chocolate, wind-up robots and so much more.